Earlier last month, Kam and I went on a day trip to Stratford-Upon-Avon, the birthplace of William Shakesphere. This was my first visit to the historic town, and although the weather was bleak, the rain kept off long enough for us to enjoy the outdoors. Quaint, extremely touristic but worth the visit, Stratford is essential if you are interested in learning more about Shakesphere and what life was like ‘back then,’ all while marvelling at some stunning Tudor and Elizabethan architecture. It really is incredible to see that these buildings – complete with thatched roofs, precarious, creaking staircases and wooden beams – are still standing today. The Golden Circle is one of the most popular travel destinations in Iceland, especially for those who are only in the country on a short lay-over. 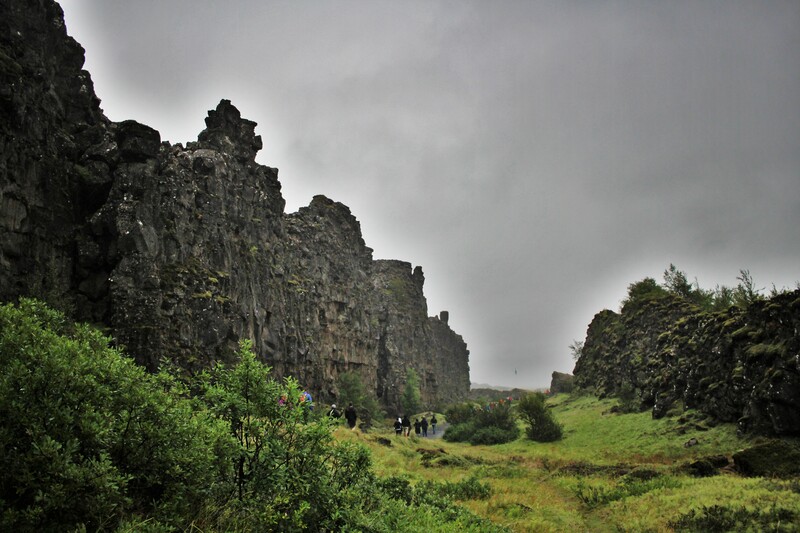 It has in fact become compulsory for any Iceland itinerary; it combines history, natural wonders and incredible sights in a very concentrated region, which is perfect for people who want to see a variety of things in a short space of time. 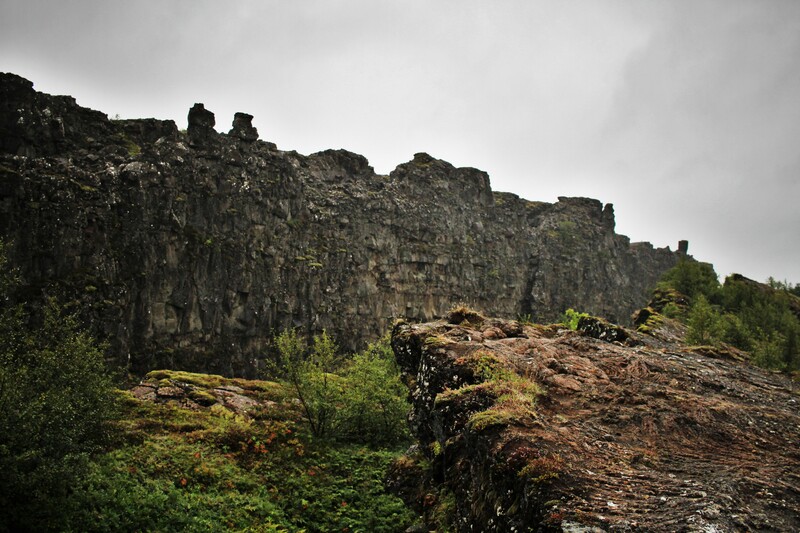 Thingvellir, only an hour’s drive from Reykjavik is the first stop en route. It is a site of historical, cultural, and geological interest. It is remarkably, the sight of where the Icelandic Parliament was established all the way back in 930. It seems so strange as it is in quite a remote and desolate location when you get there! 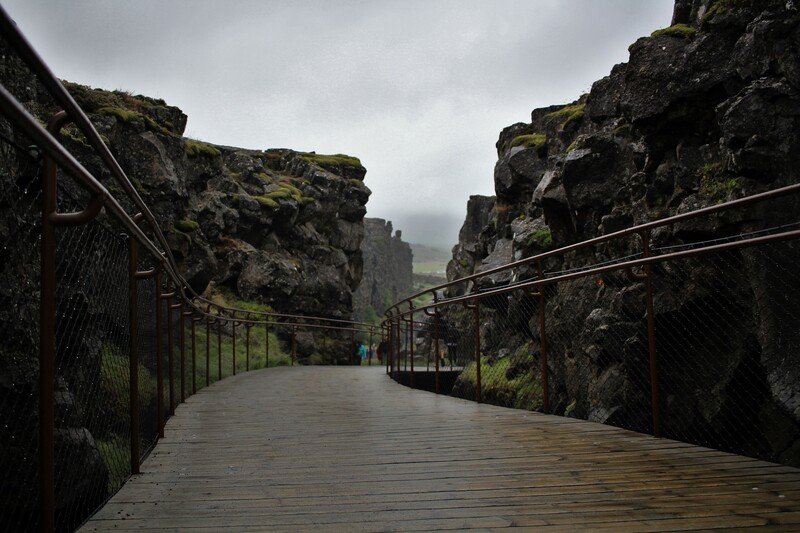 Walking down from the Visitor’s Center, you find a large rift valley which you can walk through, which marks the crest of the Mid-Atlantic Ridge. It is incredible to marvel at the geological formations there. The Visitor’s Center has some interesting videos and you can learn all about the area, the natural wildlife which resides there, how the rift valley came to be created and the founding of the Parliament. 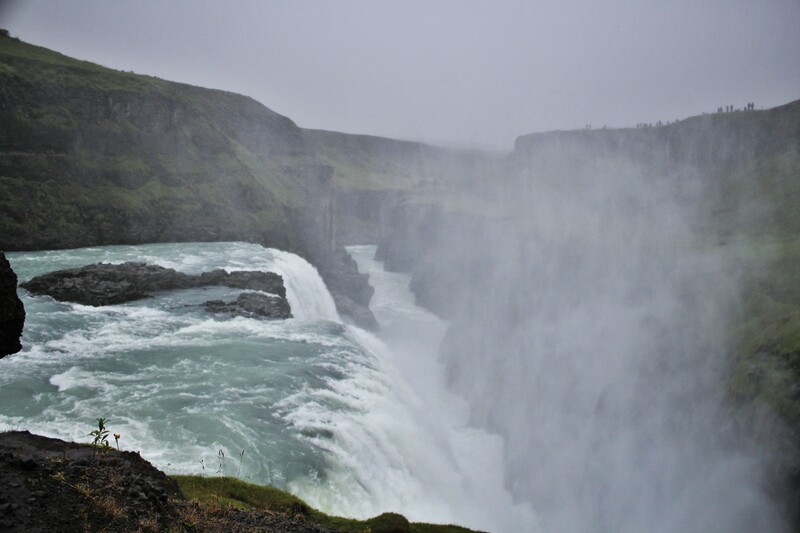 Jumping back in our car, we heading straight to Gullfoss waterfall which took about an hour’s drive. 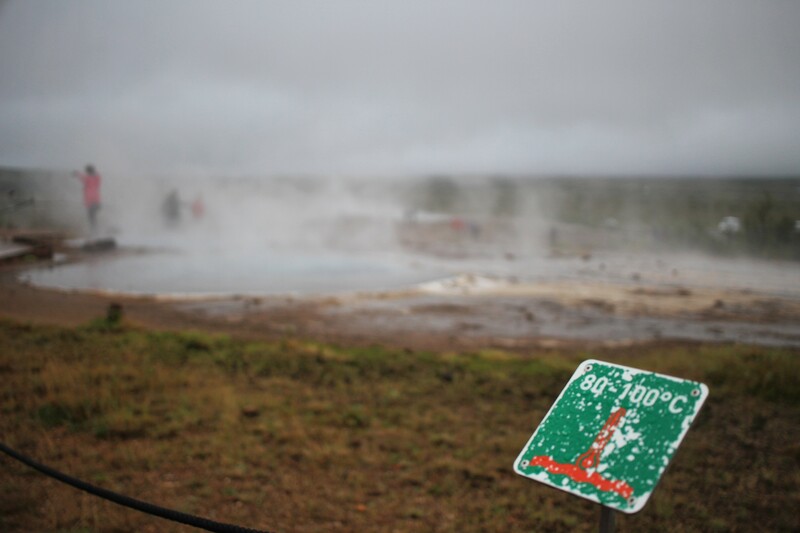 We decided to bypass Geysir which is situated between the two and visit there last, as that was where our campsite was that evening. 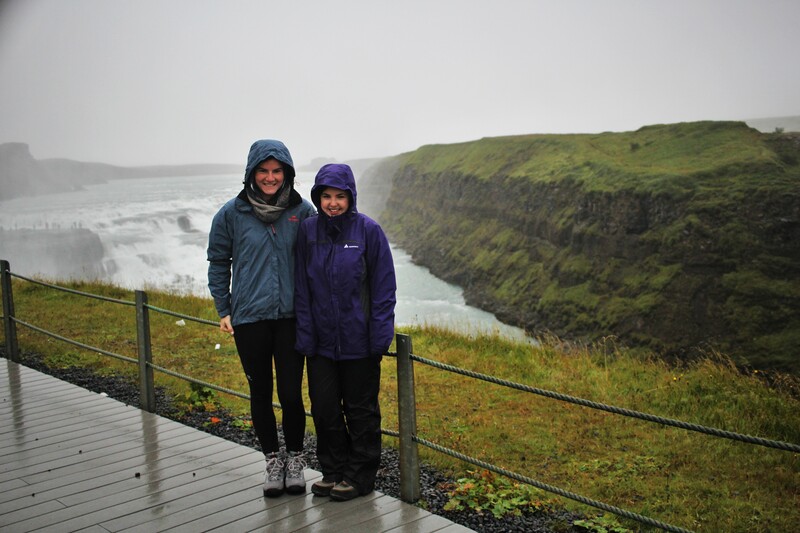 Gullfoss area was extremely windy, wet and cold when we were there, and our Lonely Planet travel guide advised that Gullfoss can be ‘disappointing’ in bad weather. We neared with low expectations as visibility was quite bad, but we were blown away by the sheer awesomeness of this waterfall! There are several paths to take; one where you can see the waterfall from above and another one to go down by the water and see it up close, with the danger of getting very, very wet! We of course, took both paths. It was great to see the waterfall from different perspectives, but it was quite exhilarating to go so close to the waterfall and get splashed. 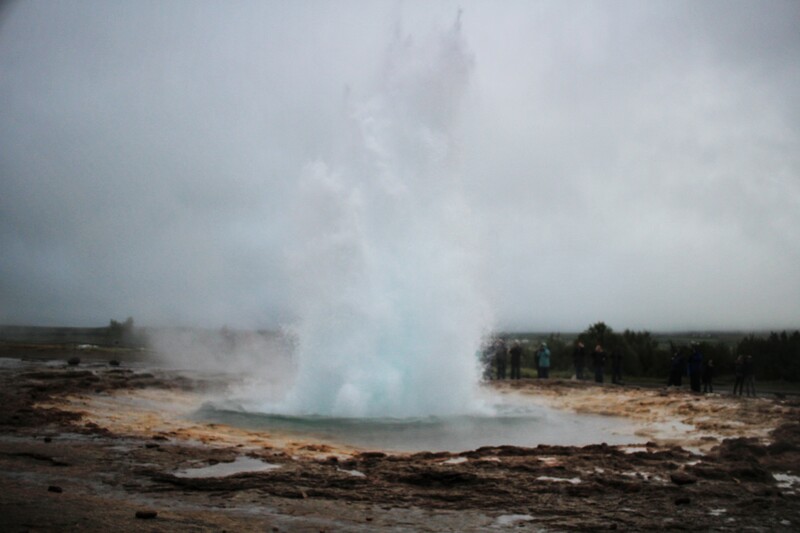 Geysir is the best place along the Golden Circle route, in my opinion, to go for a meal. There are more options here than at Thingvellir or Gullfoss. Thingvellir Information Center, a five minute drive from Thingvellir Visitor’s Center (more on this in the snorkelling post! 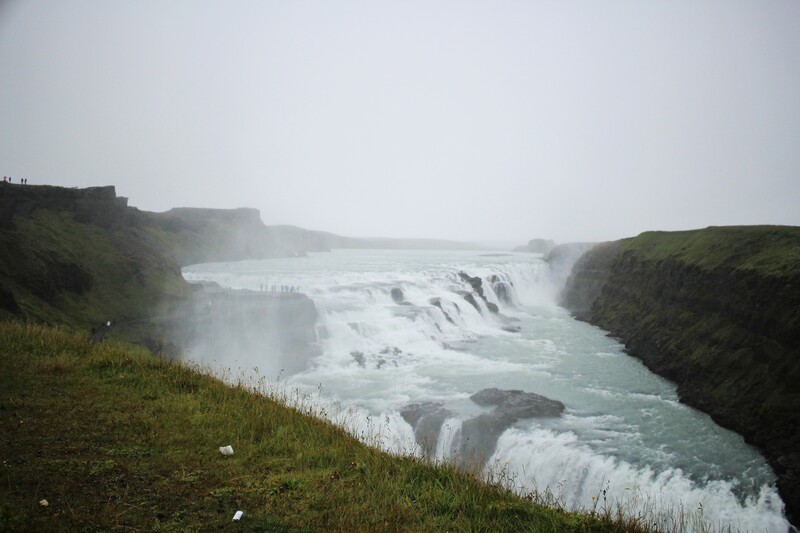 ), has a café and Gullfoss also has a café. Geysir has a hotel restaurant and two cafés, one has a little tuck shop for snacks, both adjacent to the souvenir shop. Before even considering seeing Geysir, we located the café and enjoyed a very tasty Lamb Soup in the warm. We also asked where the campsite was located, and it was literally across the road which was very handy. We took the car across and decided to pitch the tent while it wasn’t raining, before walking across to Geysir. 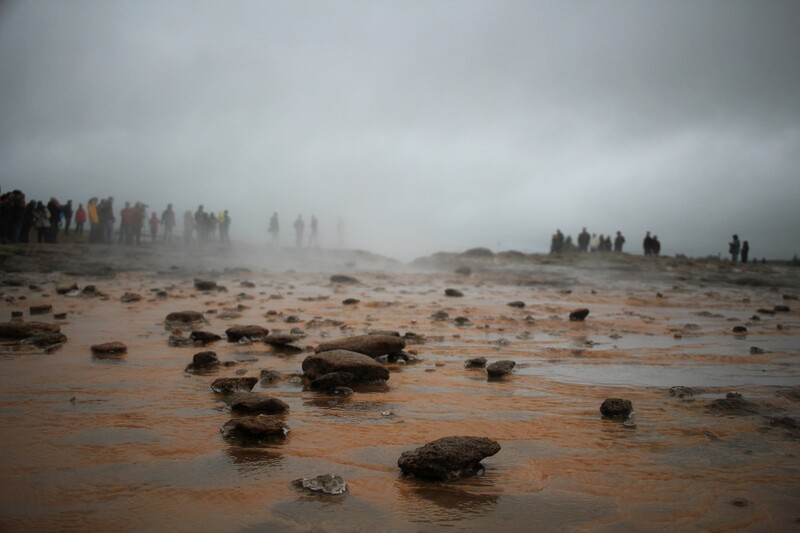 Geysir is the most exciting stop on the Golden Circle, as although we know Stokkur is active and erupts every 5-10 minutes, it is difficult to time exactly when it will happen! Everyone is standing there, poised with their cameras ready and their fingers on the shutter, waiting to shoot this natural wonder. 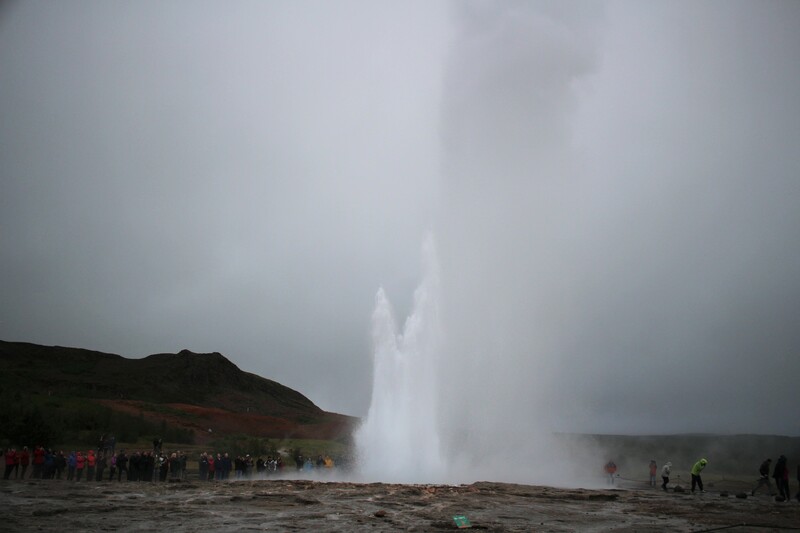 It all happens so fast and before you know it, there is this massive jet of boiling water about 20m into the air! Then all of a sudden, it is over, and there is just some steam floating about in the air. And you find yourself waiting for it to happen all over again, and again! The next day we drove to Silfra, near Thingvellir, to experience snorkelling between two continents in clear, icy water with DIVE.is (I will be doing a separate post just on this). It was an incredible experience and was an massive highlight of the trip! 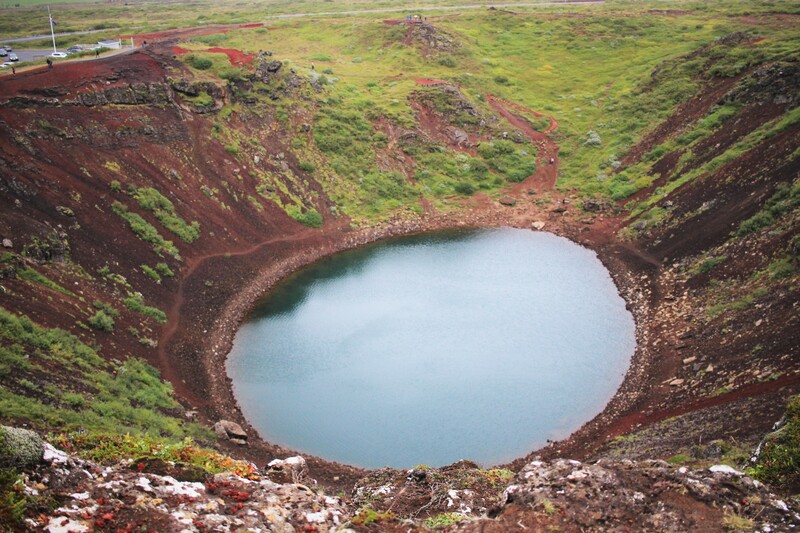 We also drove to Kerð (Kerid), a volcanic crater lake, 30 minutes drive south of Thingvellir. There was an entrance fee for this (400ISK), but it was worth paying to see it. We were pressed for time, as we still had to drive to Vik that evening, which is a two hour drive south and it was already 4pm by then. Still, we stretched our legs briefly and walked around the top of the crater which takes about 15 minutes. You can also walk down to the lake which takes 5 minutes. The water is a beautiful shade of blue. 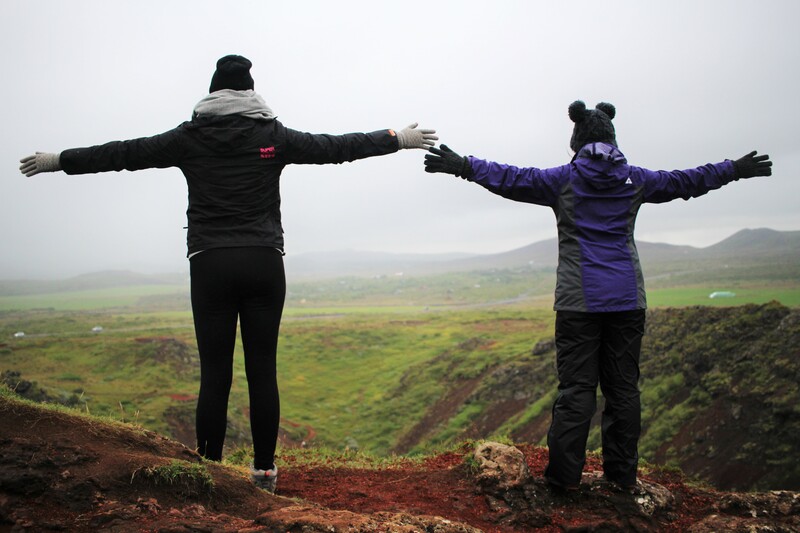 Where’s your favourite place in Iceland? What do you want to see the most? 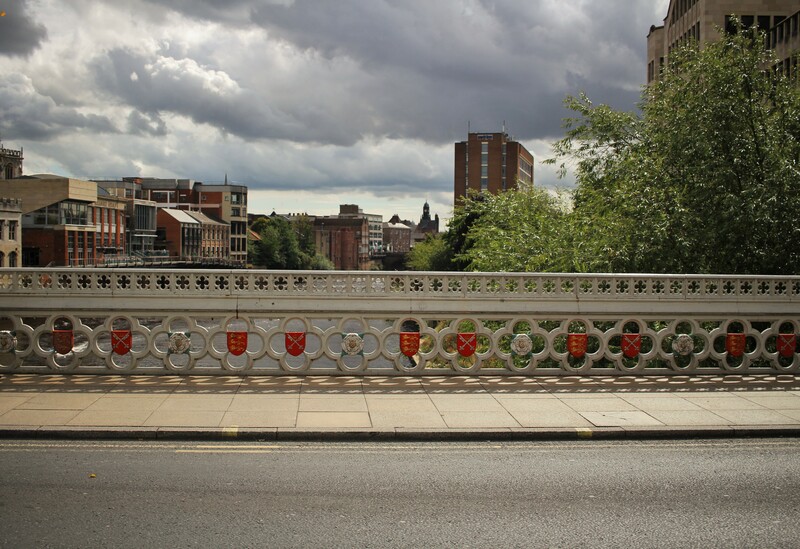 Despite calling Yorkshire ‘home’ for more than two years already since studying at The University of Sheffield, I was quite embarrassed when I came to the realisation that I hadn’t seen much of the region at all, or even in more general terms, the UK. 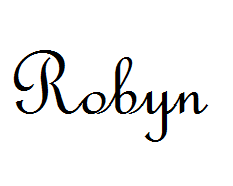 This is something I am working on though now. During my Year Abroad, I travelled around France and Spain extensively at weekends and during holidays. Since I have returned to the UK for the next 12 months at least, I felt it was time to devote some new energy into appreciating the beauty on my doorstep and not just in exotic destinations abroad that are out of reach for now. Well, while I still can before the new academic year sets in; weekends will be spent mostly in the library over the next year! Yorkshire-wise, I have been into the Peak District where I climbed to Stanage Edge in Fresher’s Week of my first year and I also went to Chatsworth House last summer, but I have hardly ventured into other parts of Yorkshire. I remember some Erasmus students in my Second Year who would travel around the country during weekends while I would either be studying in bed, or studying in the library and they were somewhat unimpressed with my lack of energy to get out and about. It’s easy to have so much more enthusiasm when you are abroad, exploring a different culture. You are in ‘adventure mode’ and that is certainly how I felt when I lived in France, Spain and Portugal. I do love living in Sheffield though and I am content enough to spend my free time there, as there is so much going on at the university for me! I have society events, part-time jobs and circles of friends, all of which I had zero access to when I was abroad. With a weekend free, James and I decided to book train tickets to York for our first visit to the city. Famous for its Minster, historic walls, cobbled streets and other heritage sites, it is only one hour from Sheffield. 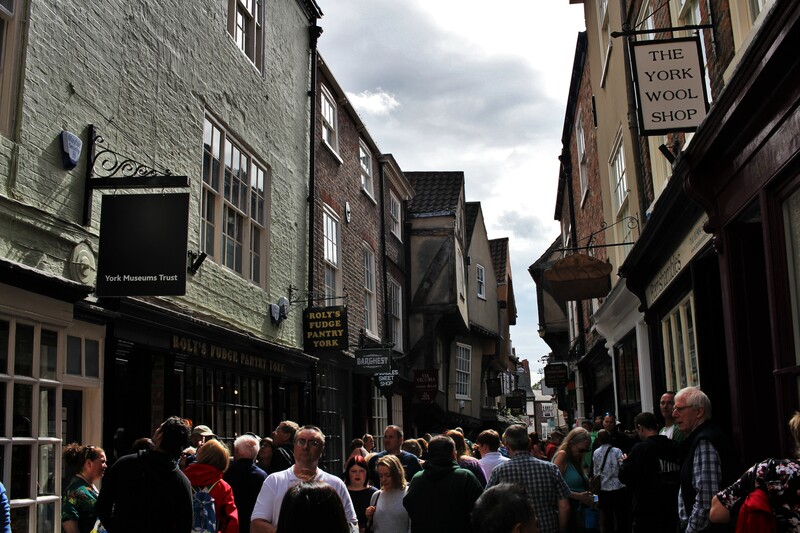 I understand that we visited York on the Saturday of August Bank Holiday, so we didn’t choose the best day to go in terms of avoiding the crowds, but there were so many tourists!!! Due to the narrow streets, the heavy crowds made it difficult to get around and it was quite stressful. 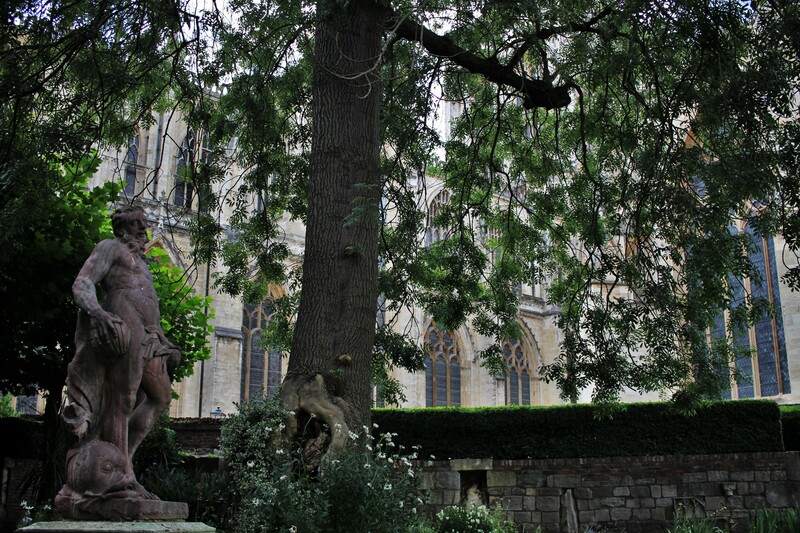 Our first stop was to admire the outside of York Minster. 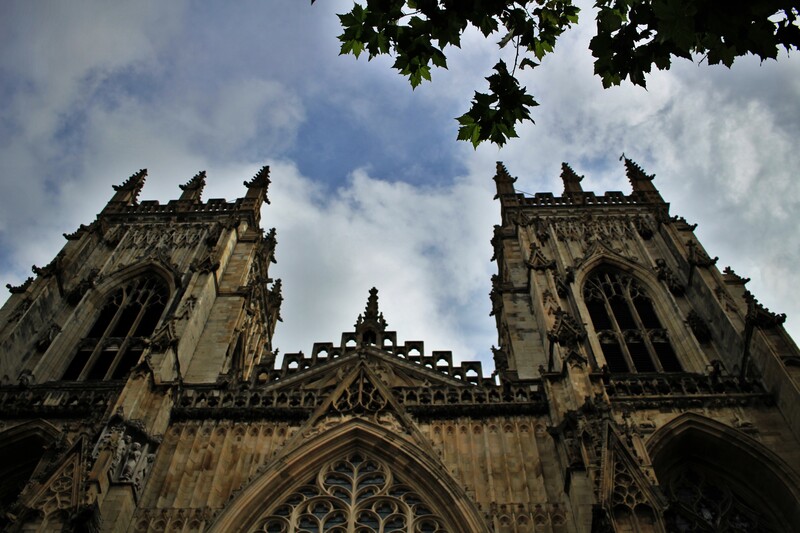 Tickets are not cheap to enter, as we found out with most attractions in York, however their website does state that it costs £20,000/day to run York Minster and this is the reason why they charge so much for entry! I see why they have to do it, but if they charged a little less, we would have been more inclined to go inside. We ate at a small pub in one of the main squares for lunch before walking towards the other side of the city to the York Castle Museum. Entry was £5 for us as we were under 26. The museum is housed in a former prison, and you can see some of the original cells which have projectors in each room with recordings of individual inmates sharing their story of how they ended up in the prison. The rest of the museum is a fascinating collection of social history, reflecting everyday life in Yorkshire. Upstairs, there are ‘period rooms,’ examples of a farmhouse room, how a living room looked in the 1950s, a kitchen in the 1940s etc. Downstairs you can explore Kirkgate, a recreated Victorian street which was originally built in 1938. This feature is the most iconic part of York Castle Museum and it was incredible to walk around! 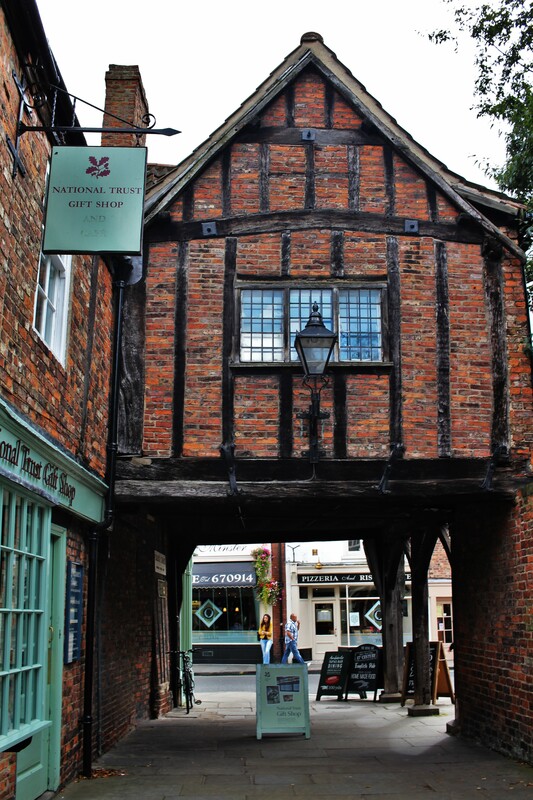 The street houses real shop fronts and products that were from that era, all originals, and thanks to extensive research, every single shop is based on a real York business which operated between 1870 and 1901! You are walking through history in this place. They also gave a talk on the Victorian Cocoa House which was run by Quakers. Their philosophy is that alcohol is bad, so they drink hot chocolate instead. The Cocoa House was a meeting place where families were welcome, different to the pubs where the adults could go but children had to stay at home, and there was entertainment free of charge. It was a way of educating the poor into a ‘better way of life,’ without alcohol and spending quality time with the family. 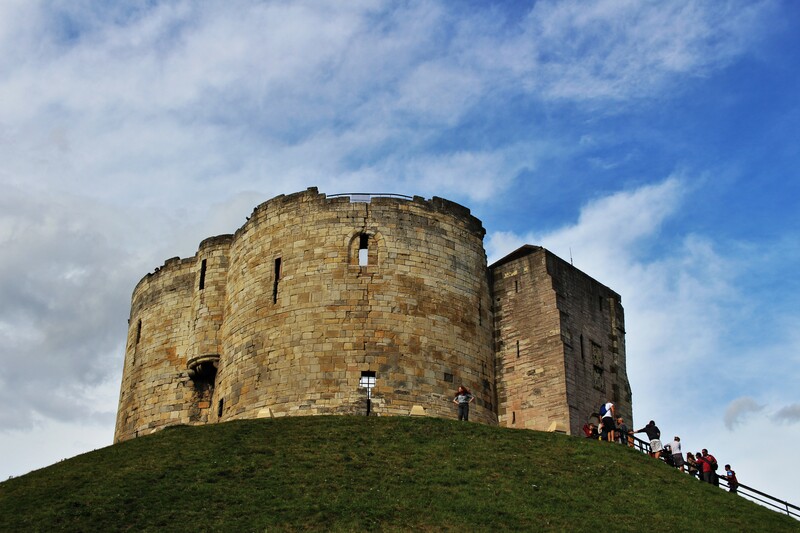 After a tour through the rest of the building, we got some fresh air and had a look at the iconic York Castle next door, which was built on a conical mound by William the Conqueror. It’s an English Heritage site, so it is free entry if you have membership, otherwise entrance is £4.40 for adults and £4 for students. Other than climbing to the top to get a view over York, it didn’t seem like there was much to do inside, and TripAdvisor reviewers had been “disappointed” with their visits for the price of the ticket, so we decided not to go up. After some retail therapy, we ate at Pizza Express which is located in a large Victorian building, much in keeping with the rest of the historic city, before catching the train home to Sheffield in the evening. 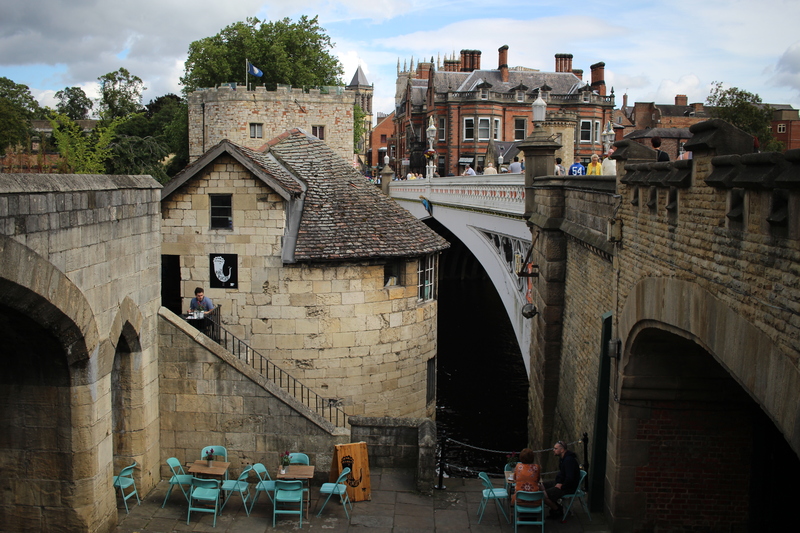 York was a wonderful place for a day trip, very historical and plenty of things to see and do. It has a very different vibe to Sheffield, which has been shaped more by its industrial past, but is now a beautiful, green, hilly city that’s full of students. I am biased though. 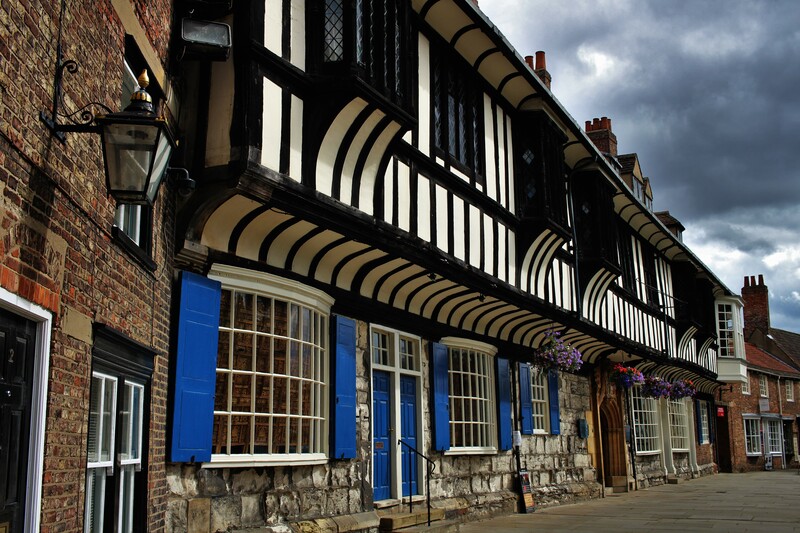 I’d recommend the York Castle Museum as somewhere you must visit when in York; the exhibits have been well researched and thought through, it was an education. We also enjoyed walking around the walls and seeing different perspectives of the city for free. Here’s to visiting more of the UK this year! 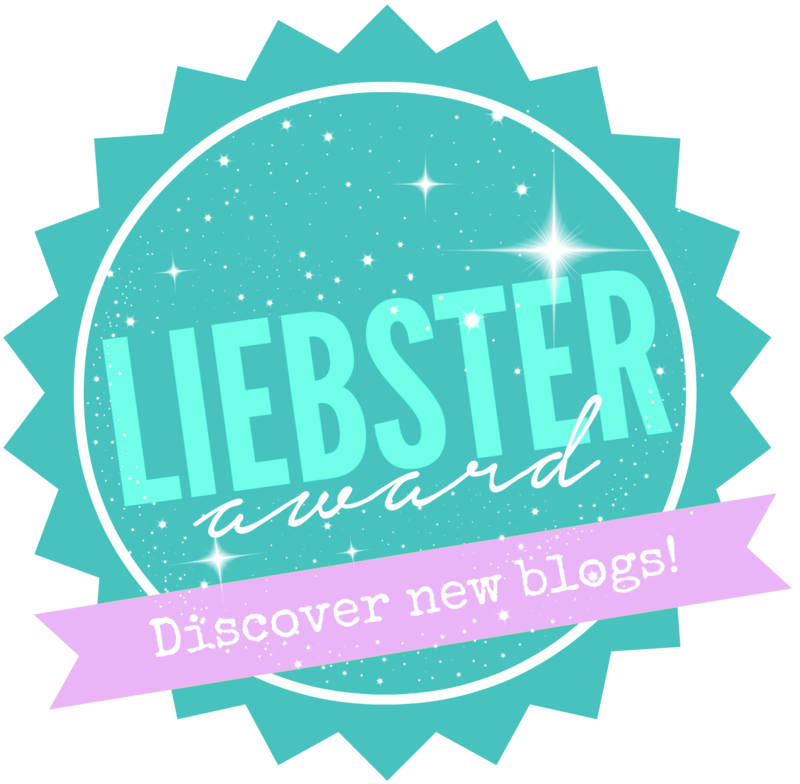 Ever since my wonderful experience at the Hammam Al Ándalus in Granada (which I wrote about here), I wanted to return straight away! The Hammams are located in Granada, Málaga, Córdoba and Madrid, so if you find yourself in any of these cities, it is definitely worth booking in if you appreciate some well-deserved relaxation. 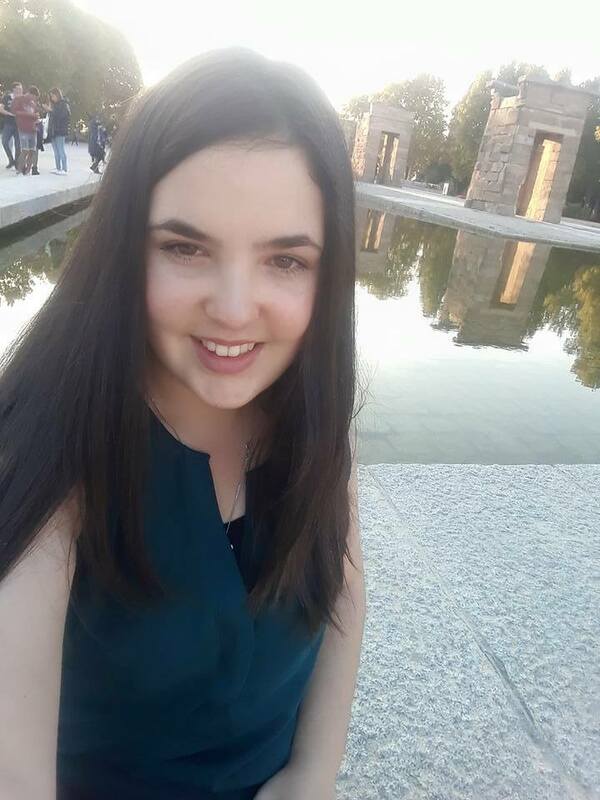 Unfortunately, I was living in the north of Spain, and therefore a minimum three-hour train journey from the closest Hammam (Madrid) which made it more difficult for me to return. I managed to prevail though, and squeezed in a return trip to Hammam Al Ándalus, this time in Madrid, during my first visit to the capital. It was the perfect treat to end my four months living and studying in Spain, the evening before flying home to the UK. The Hammam in Madrid is excellently located in the city center, between Puerta del Sol and Plaza Mayor which makes it easily accessible and was only a five minute walk from my hostel. After taking a walking tour during my visit to Madrid, it was interesting to learn that the city itself has a fascinating Moorish history which nowadays is very unknown; originally known as Mayrit, Madrid was founded in the 9th century. Its location in the center of Spain was no coincidence either – at that time, it was a crossroads between the divide of Christian North and Moorish South and therefore in an important defensive position, especially as it is slightly north of Toledo, which was the capital of Spain, to protect it from invasions from the north. Although the Hammam baths bring some of the luxury of Andalucía to the capital nowadays, the baths are in fact perfectly at home here in Madrid, which was once an Arab city with a mosque, souk and hammams, however much of this is now lost and Hammam Al Ándalus is the only hammam now in Madrid. Still, the cathedral in Madrid, called “Almudena” although named after a medieval icon of the Virgin Mary, the Patron Saint of Madrid, the word “Almudena” in Arabic translates to “the citadel,” and traces of Madrid’s Moorish roots are still to be seen. Therefore, a visit to the Hammam in Madrid is still a culturally enriching experience as well a relaxing one. My hammam experience this time also started with a 15-minute full-body massage, and I chose the Red Amber oil again as I loved the scent the last time. In the Relaxation room you can find a “Fuente de té” (a tap that provides hot Moroccan Mint tea). I love the tea so much and I drank countless cups of it in between relaxing in the heated pools. There are three pools to choose from: cold (18°C), temperate (36°C) and hot (40°C) and also a steam room, my favourite being the hot pool. I enjoyed starting in the temperate pool, moving on to the hot, the steam room and then cooling off the with cold pool and a shower – I was not as brave as some of the other people who got fully submerged in the cold pool! It is just so cold. As I went mid-week at 8pm, there were not as many people in the baths as there were when I went to Granada on a Friday evening. This was great as there were fewer people in the pools and I mostly had each area at a time to myself to unwind! I would definitely recommend booking to go during the evening as it allows you to relax after a long day of sight-seeing during the day and I fell asleep easily when I went to bed.